people behind vocaloid. 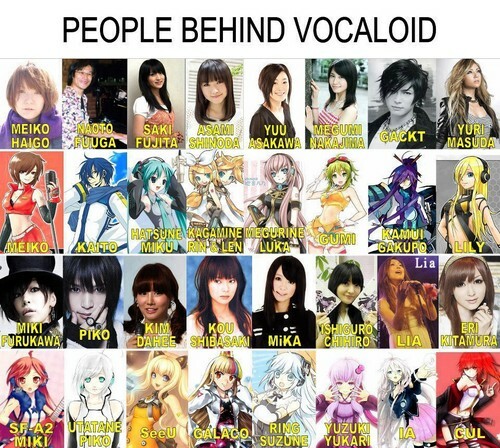 the singers behind the vocaloid voices. Wallpaper and background images in the Вокалоид club tagged: vocaloid voice actors. This Вокалоид photo contains аниме, комиксы, манга, анимационные фильмы, комикс, мультфильм, and книга комиксов. Actually Naoto Fuuga is a boy.....but for the record, male vocaloids have been voiced by girls, Len for example.